Hi everyone! 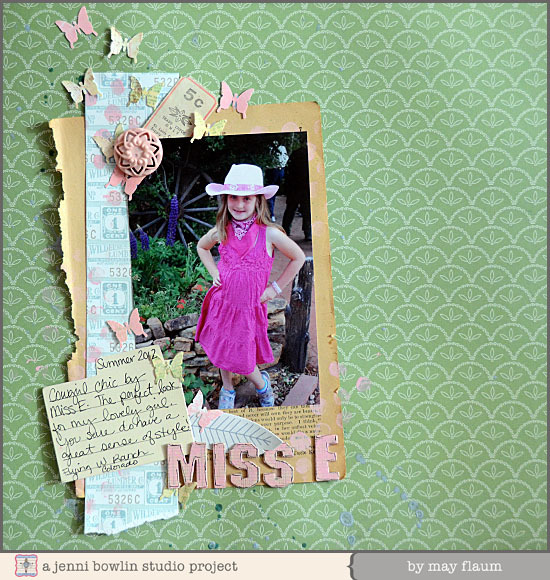 May Flaum here to share my first layout with the new Jenni Bowlin Studio goodies! 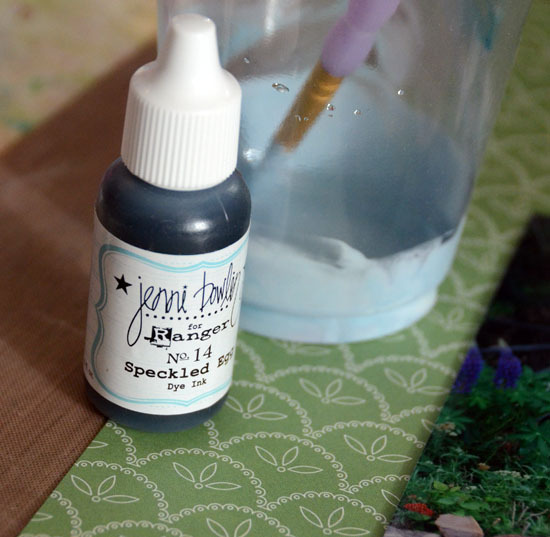 I am always saying what I love most about Jenni's producs is that they work beautifully with older releases which makes my budget happy and my creative possibilities better than ever! I used chewing gum paint to stamp (the dots) and color my title letters. I used chewing gum, malted milk, and seed packet ink pads to stamp and color white cardstock for my punched butterflies. The splatter you see in the background is both speckled egg re-inker flicked directly onto my page, and a watered down paint (speckled egg + water) flicked onto my page. I love the contrast they add! By using a bold (4x6) photo and limiting my embellishments to the one side of the layout I was able to make a lot of ink (and paint) mess, but create a fairly clean finished layout. 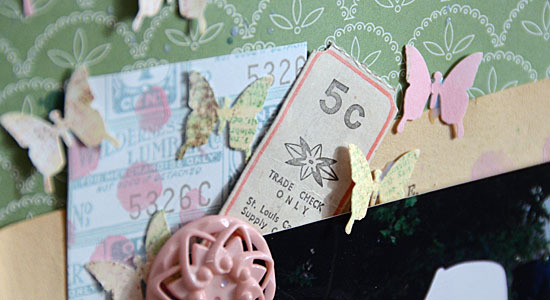 love all the details on this--the button, butterflies and feather...so cute! Speckled egg is one of my all-time favorite colors. Love this one!